The September 2017 K-T Key Is Here! Get it while it’s hot! The September 2017 issue of the K-T Key is available for download TODAY! 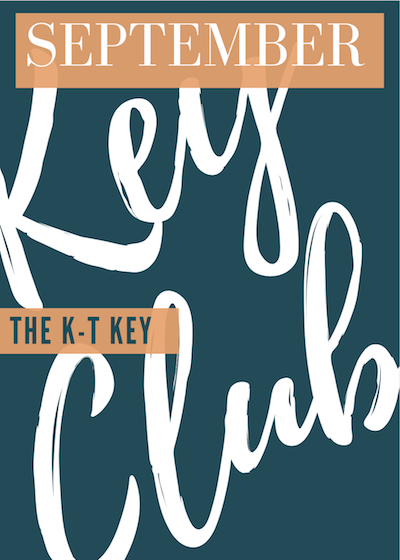 The K-T Key is the official newsletter of the Kentucky-Tennessee District and this beautiful, newly-designed issue is packed with important information for your club! There’s information about the 2017 K-T District Fall Rally (you don’t want to miss this!) as well as registration information for the Kiwanis Family Conference (KFC; no…not the restaurant!) that will be held in November! You will also find service project ideas that will help you directly support your communities as well as charities like the March of Dimes, the Ronald McDonald House, or the ELIMINATE project. There’s also a K-T District Calendar so you can go ahead and save the date for D-CON and I-CON! Don’t wait! Download your copy today and share the newsletter with the members of your clubs!